It is not a legally recognised term but rather is a convenient shorthand which has been used to describe metal-detector users acting illegally. It is most commonly used in the British context, although it has been used to describe illegal metal detecting in Ireland as well (Kelly 1994: 217). Definitions of nighthawks and nighthawking have varied and have often been brief, perhaps because it is indeed a term of convenience rather than an official, legal term. Faulkner (2003: 24), for example, simply states that, ‘nighthawks are crooks equipped with metal-detectors who go on to archaeological sites and loot antiquities to sell on the black market’. Addyman and Brodie (2002: 180-81) more broadly connect ‘so-called nighthawks’ with ‘illicit detecting’, with this activity acknowledged to take place most often at night. Renfrew (1998: 7) described nighthawks as ‘members of that clandestine fraternity of illicit metal-detectorists who go secretly and often illegally by night onto private land in search of marketable antiquities’. The term has been used by several authors from at least the 1990s onwards to denote illegal artefact hunting (e.g. Dobinson and Denison 1995; Kelly 1994; Stead 1998). 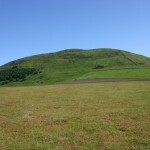 In 2009, English Heritage commissioned a report investigating the scale of nighthawking across the UK, including the UK Crown Dependencies of the Isle of Man and the Bailiwicks of Jersey and Guernsey (Oxford Archaeology 2009). 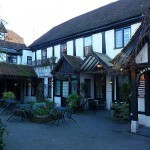 In their report they state that, ‘nighthawks are thieves, and should not be confused with responsible metal detectorists who follow the Code of Practice of Responsible Metal Detecting in England and Wales and can be valued contributors to heritage understanding’ (Oxford Archaeology 2009: 10). While ‘nighthawking’ can indeed often take place at night, illegal artefact hunting is of course not necessarily only a night-time activity. While the most prevalent use of the term seems to apply ‘nighthawking’ to illegality both day and night, some prefer to call the daytime practice ‘dayhawking’. For example, use of that term was noted by Thomas during research visits to metal detecting clubs in northern England (Thomas 2009: 33). Discovered a find that should be declared as Treasure and failed to declare it as such within the required time. According to the Treasure Act 1996 and its subsequent amendments, the required time in which to declare potential Treasure finds is fourteen days. Searched on private land without permission, i.e. trespassed, with anything found therefore constituting a possible offence of theft within the meaning of the Theft Act 1968. 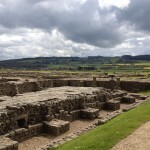 Searched on a Scheduled Monument without authorization, hence violating the Ancient Monuments and Archaeological Areas Act 1979 (AMAAA), Part III, Section 42 Specifically two offences: 42(1) detecting without consent 42(3) detecting and removing objects. Significantly in these cases, the landowner cannot provide consent to detect on the Scheduled Monument, even although he/she owns the land. Offenders found in such circumstances are often charged with offences contained in the Theft Act: going equipped to steal; and/or theft; or both offences under the AMAAA. Searched on private land with permission from the landowner, but then failed to disclose what was found (except where this was agreed in advance with the landowner to be unnecessary), especially items of financial value or items of Treasure, constituting theft from the landowner and/or the Crown. In Scotland, due to Treasure Trove common law, landowners have no ownership rights over archaeological objects found on their land, and any objects falling within this much broader definition of Treasure Trove would belong to the Crown (see for example Saville 2009). In this sense, a definition of nighthawking in Scotland would include the wilful non-reporting of a wider category of objects than in England or Wales, and the relevant act of theft would always be from the Crown rather than from an individual. In Northern Ireland, there is a different situation again, with all unauthorised ‘digging for treasure’ prohibited by a number of different Acts and Orders (Hurl 2009: 99), and Northern Ireland overall has the ‘severest restrictions’ with regard to metal detecting of any of the jurisdictions in the UK (Hurl 2009: 101). The exact incidence of nighthawking across the UK is unknown. However, there are well-known examples of nighthawking, such as at Wanborough (Surrey), Yeavering Bell and Corbridge (both Northumberland) and the Antonine Wall (central Scotland). Addyman, Peter and Brodie, Neil (2002), ‘Metal detecting in Britain’, in Neil Brodie and Katherine Walker Tubb (eds. ), Illicit Antiquities: The theft of culture and the extinction of archaeology (London, New York: Routledge), 179-84. 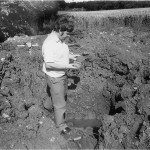 Dobinson, Colin and Denison, Simon (1995), ‘Metal detecting and archaeology in England’, (York: Council for British Archaeology). Faulkner, Neil (2003), Hidden Treasure: Digging up Britain’s Past (London: BBC Books). Hurl, Declan (2009), ‘Metal Detecting in Northern Ireland’, in Suzie Thomas and Peter G Stone (eds. ), Metal Detecting and Archaeology (Woodbridge: The Boydell Press), 99-106. Kelly, Eamonn (1994), ‘Protecting Ireland’s Archaeological Heritage’, International Journal of Cultural Property, 3 (2), 213-26. 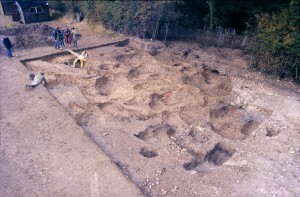 Oxford Archaeology (2009), ‘Nighthawks and Nighthawking: Damage to Archaeological Sites in the UK and Crown Dependencies caused by Illegal Searching and Removal of Antiquities’, (Oxford). Renfrew, Colin (1998), ‘Foreword’, in Ian M Stead (ed. ), The Salisbury Hoard (Stroud: Tempus), 7-10. Saville, Alan (2009), ‘Treasure Trove and Metal Detecting in Scotland’, in Suzie Thomas and Peter G Stone (eds. ), Metal Detecting and Archaeology (Woodbridge: The Boydell Press), 87-98. Stead, Ian M. (1998), The Salisbury Hoard (Gloucestershire: Tempus). Thomas, Suzie (2009), ‘The Relationships between Archaeologists and Metal-detector Users in England and Wales: Impact of the Past and Implications for the Future’, Ph.D. thesis, (Newcastle University). — (2012), ‘Archaeologists and metal-detector users in England and Wales: Past, Present and Future’, in Robin Skeates, Carol McDavid, and John Carman (eds. ), The Oxford Handbook of Public Archaeology (Oxford: Oxford University Press), 60-81. The Alliance to Reduce Heritage Crime (ARCH), spearheaded by English Heritage, is working across England to raise awareness about and prevent heritage crimes. Collaborative approaches including the collation and analysis of intelligence has resulted in a number of arrests and convictions connected to nighthawking, including in Lincolnshire, Northamptonshire and Suffolk. 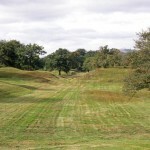 One of the few places in Scotland where unauthorised metal detecting has been recorded to have taken place is on the Antonine Wall. Thomas, S. (2013), ‘Editorial: Portable Antiquities: Archaeology, Collecting, Metal Detecting’, Internet Archaeology 33. Thomas, S. (2012), ‘Archaeologists and metal-detector users in England and Wales: Past, Present and Future’, in R. Skeates, C. McDavid, and J. Carman (eds. ), The Oxford Handbook of Public Archaeology (Oxford: Oxford University Press), 60-81.